ALR Industries T-X On Sale! T-X™ was specifically formulated to rev up your metabolism and optimize your natural thyroid function. 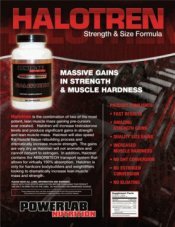 At ALR Industries, we realized that by simply saturating the body with thyroid analogs would result in down-regulation of our natural thyroid function. 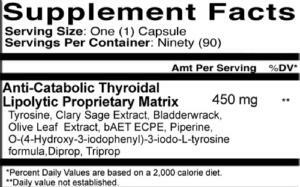 That is why we combined some of the most powerful natural thyroid analogs with specific, proven endogenous thyroid support compounds. T-X™ is a two-pronged attack on a sluggish metabolism and a proven fat fighting anabolic. DiProp and TriProp are two naturally occurring, powerful T3- and T2-mimicking compounds. They work similarly to their endogenous counterparts by increasing cellular metabolic rate and by increasing calorie expenditure. They do this by increasing cellular energy demand. 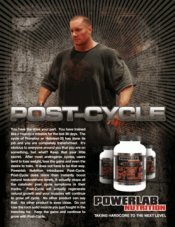 This occurs by making the formation of ATP less efficient through a process called, “metabolic uncoupling.” By making the formation of cellular energy (ATP) more difficult, these two substances effectively create a cellular energy deficit – resulting in greater calorie expenditure, increased fat utilization for energy and an increased metabolic rate at the cellular level. * Tyrosine- This amino acid supports natural thyroid function. Tyrosine is utilized in the formation of natural thyroid hormone. ALR Industries has created an esterified version of this amino acid-tyrosine ethyl ester, which is up to 400% more orally available than free-form tyrosine. * Olive Leaf Extract- This naturally occurring ingredient has been shown to increase natural TSH (Thyroid Stimulating Hormone) production. Supporting the natural production of TSH will help keep thyroid activity optimized. * Clary Sage Extract- This herb has been shown to increase cAMP activity by triggering the thyroid enzyme- adenylate cyclase. Increased levels of cAMP ramp up the fat metabolizing processes within the cells and trigger additional T-3 production. Some research has also shown that increased cAMP may result in increased LH production. 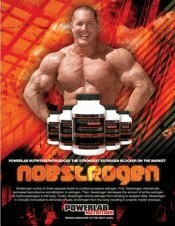 LH in men targets the gonads to increase endogenous testosterone production. 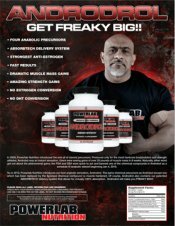 * Beta AET ECPE- This DHEA metabolite is a version specifically formulated by ALR Industries for maximum bioavailability, promoting fat loss and lean mass retention. Beta AET ECPE also supports natural thyroid activity. This powerful chemical cousin of DHEA has also been shown to inhibit the enzyme that activates cortisol, thereby inhibiting its activation. Less cortisol means less muscle breakdown, less fat storage, and improved immune and cellular health. T-X™ is a multi-structured thyroid analog product that provides superior thyroid function support. T-X™ is a two-tiered approach to metabolic optimization. By utilizing both naturally-occurring thyroid analogs and by meticulously supporting endogenous thyroid function, T-X™ streamlines the metabolic governor- the thyroid to help achieve the positive body composition changes that we all seek. T-X™ is the cutting edge supplement that you have been waiting for! A: First, we at ALR Industries (Team ALR athletes) truly feel that this is one if not our best product! We like to say that T-X™ is “Our Little Fat Loss Secret.” Author L. Rea is the owner, chemist and mastermind behind this outstanding product. 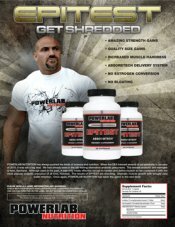 He knew that the key to achieving any true fat loss product is multi-faceted. T-X™ is a unique and complex product that provides thyroid support, aids in fat loss and provides a boost to your metabolism while supporting lean muscle tissue. 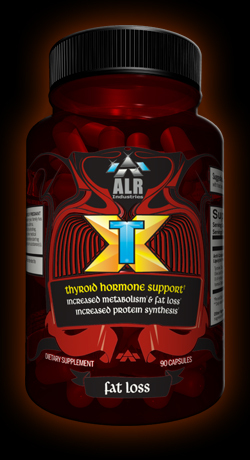 A: T-X™ is “a new class of fat loss.” T-X™ is best described as an anti-catabolic thyroidal lipolytic matrix. It appears complex for most to understand, but think of it this way… T-X™ helps the body use healthy protein better, while at the same time shifting gears forcing the body to use fat for energy while improving natural thyroid hormone levels & optimizing overall thyroid activity. Q: Will T-X™ hurt my natural thyroid output or shut my thyroid down? A: Recommended usage of T-X™ will not hinder one’s natural thyroid production. There are ingredients included for that very purpose to ensure that your natural thyroid activity is supported and not hindered in any way. Again, it is always wise to have cessation periods with any product and T-X™ is no exception. Q: Should T-X™ only be used when dieting? A: T-X™ can be used when you are dieting and also when you are not dieting. Optimal thyroid output has many other additional benefits including: increased protein synthesis/turnover, heightened receptor activity for anabolic hormones and stimulation of HPTA. T-X™ can lend itself very well to scenarios other than just fat loss, hence why many pro athletes use it. 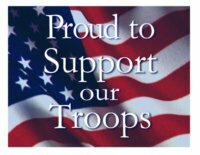 Think about it, if it is good for them- imagine what it can do for you! Q: Is T-X™ safe for anyone who uses it? A: T-X™ is safe for those who follow the suggested use. However, please check with your medical professional before using T-X™ in special cases or if you have a pre-existing medical condition and always follow our label warnings. 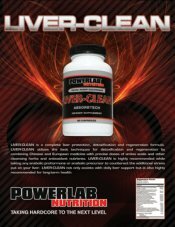 Our overwhelming positive response to this product rivals that of our popular Hyperdrive 3.0+™! Many who have hypothyroidism (an under active thyroid) find that T-X™ helps assist with healthy thyroid function, combating fatigue & aiding in fat loss. WARNING: NOT FOR USE BY INDIVIDUALS UNDER THE AGE OF 21 YEARS. DO NOT USE IF PREGNANT OR NURSING. KEEP OUT OF REACH OF CHILDREN. Do NOT consume this product if you have a medical condition and/or taking any prescription medication. Do not exceed recommended serving. Discontinue use and call a physician or licensed qualified health care professional immediately if you experience rapid heartbeat, dizziness, severe headache, or other similar symptoms.